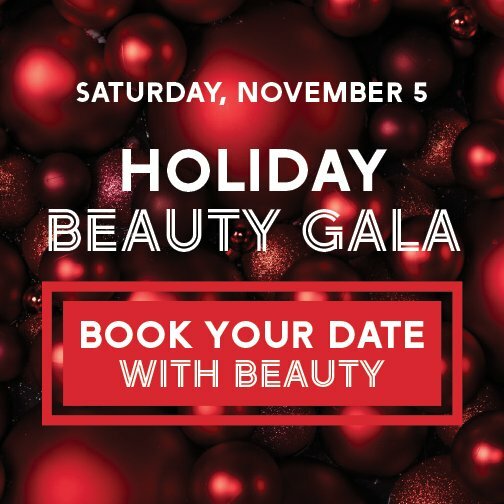 Treat a woman you love a fun day out by taking her to the Shoppers Drug Mart Holiday Beauty Gala. The holiday season is quickly approaching so if you attend you can get your new holiday look! It’s a wonderful way to support women’s cancer charities like Look Good Feel Better Canada. Speak to your Beauty Expert to get your tickets. Space is limited! This is the fifth year Shoppers Drug Mart LOVE.YOU. has launched the National Beauty Galas in support of women’s health. The Beauty Gala is a one day event to help raise funds for The Canadian Breast Cancer Foundation in Ontario, British Columbia and Yukon; Beauty Gives Back in Alberta, Atlantic and Prairies and finally, Quebec Breast Cancer Foundation in Quebec. In 2015 the national Galas raised over $1.7 million dollars in support of women’s health. This year, a summer gala will be introduced, resulting in three galas total, to further support women’s health throughout Canada. As a result of the funds raised through the Beauty Galas, traveling mammography units for breast cancer screening in communities across BC is now possible; In Ontario, funds support the development of an online decision-aid tool to help women make an informed and empowered decision about breast screening; Alberta, Atlantic and Prairies support Beauty Gives Back, the home of the Look Good Feel Better program and charitable foundation of Canada’s beauty industry; and in Quebec, funds support women who face financial difficulties while they undergo treatment for breast cancer. The Beauty Galas give customers a chance to personally indulge and positively impact the health of women. Event activities including, skin analysis and makeup applications as well as special draws and raffles. Tickets are available for $10 and can be purchased at your local Shoppers Drug Mart. Half ($5) of each ticket sold will be donated to the charity supported, while the remaining $5 is redeemable on any cosmetic purchase made at Shoppers Drug Mart during the event. The Shoppers LOVE. YOU. portfolio gathers resources and expertise from supported partners at leading women’s health organizations across Canada helping women stay focused on making their own health a priority. Look Good Feel Better was created from a belief that if a woman with cancer can be helped to look good, chances are she will feel better, her spirits will be lifted and she’ll be empowered to face her illness with greater confidence. Look Good Feel Betterbenefits from the Shoppers Drug Mart Beauty Galas. For every woman who attends our Look Good Feel Better workshop, there are 9 others who don’t. And it is time change that. 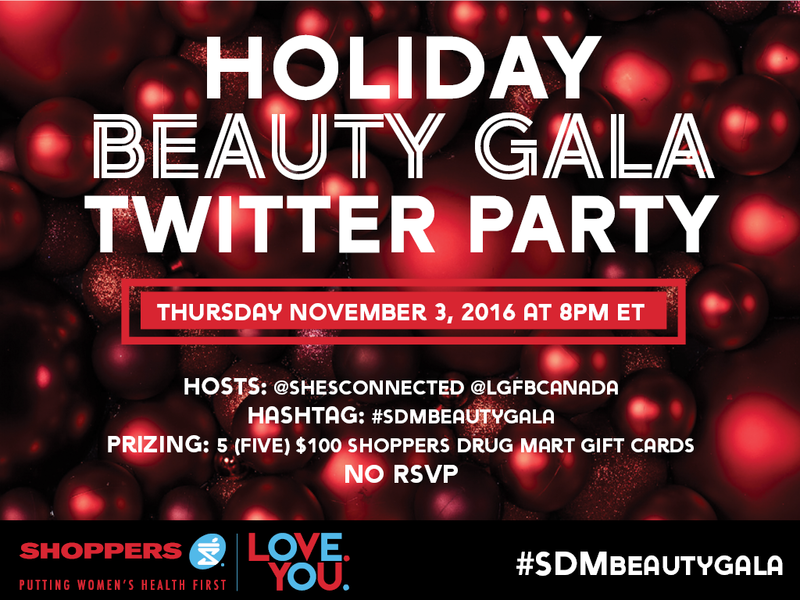 To find out more about the Holiday Beauty Gala, please join the Holiday Beauty Gala Twitter Party on Thursday November 2, 2016. Hey Buddy!, I found this information for you: "Treat a Woman you love to the Shoppers Drug Mart Holiday Beauty Gala [ + Twitter Party]". Here is the website link: http://shesinfluential.com/2016/11/01/treat-a-woman-you-love-to-the-shoppers-drug-mart-holiday-beauty-gala-twitter-party/. Thank you.